We all have our likes and dislikes, things that we migrate toward (or away from). When it’s something tangible that we really like, we like to have a memento of it. It is a part of who we are. When we see different forms of the same thing and get several tangible mementos, it becomes a collection. We go through life collecting things. When I was young boy, I collected rocks, because I liked the different shapes and colors, smoothness and jaggedness. I always hoped that it would turn into an arrowhead collection, but those were difficult to come by. I also collected coins, because I liked the detail, the science and history of minting coins and medallions. Turns out, numismatics gets to be an expensive hobby, but I enjoyed the search for unusual currency and still enjoy coins today. As a teenager, I collected Beatles LPs and other records that I still own and have loaned to my sons so they could enjoy the crispness of vinyl recordings. 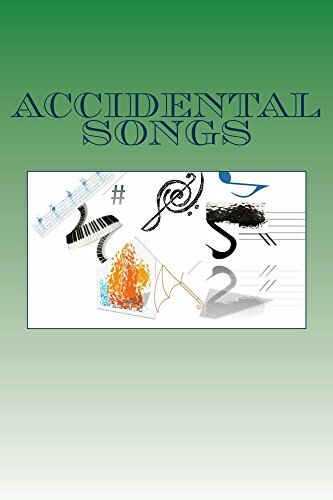 I have a collection of poetry books that includes Frost, Heaney, ee cummings, and Bukowski, and I’m always on the look for new/old print poetry collections/chapterbooks, especially in second-stores and flea markets. As an adult, some of my collections have happened by accident. I have a nice collection of coffee mugs that I have accumulated over the years, mainly from perusing clearance shelves. Interestingly, it is the shape/design of the mugs that mostly appeal to me. Four of my coffee mugs are plain white china, but in different shapes with different handles. I do have a few “souvenir” mugs that are comprised of sorcerer’s apprentice Mickey, my writer’s mug (It is unwise to mock the poet), and my periodic table mug. It’s a good thing that I drink lots of coffee. Sometimes there is a jump to other collections because of overlapping interests. 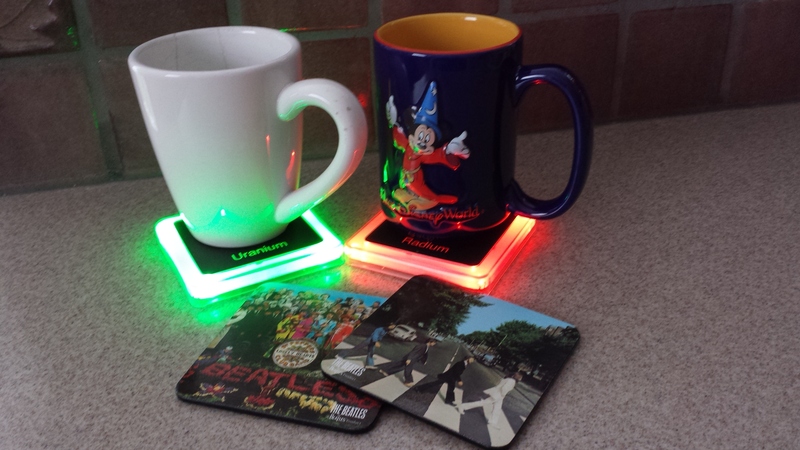 Recently a friend bought me a souvenir from his trip to Epcot: a set of coasters with Beatles album covers. A very cool and thoughtful gift – knowing my fanaticism for Beatles stuff. At Christmas, my sister gave me a gift of coasters as well: Four coasters with periodic table information of the radioactive elements U-238, Ra-226, Th-232, and Pu-244 on them. AND…when you set the glass on the coaster, they light up in the spectrum color of the actual element. Available from ThinkGeek here. I don’t drink much, and we don’t entertain all that much either, but these coasters are WAY cool. I am now collecting cool coaster sets. What do you do when you are no longer interested in your collection? I am currently involved in a home project of reducing our stored clutter. Among the Christmas decorations, old pictures, and various memorabilia that we have stored is my wife’s collection of Beanie Babies. She collected these when they were all the rage in the 90’s. We have several bins, with some of them in little acrylic cases. My wife has agreed that she is no longer interested in them, and that I can remove them from our house…the question is…where? Are there any collectors out there willing to give me a few dollars for all of them (probably 100-150 of them still with tags on them – make me an offer*)? Are there any worthy organizations that would accept a donation of small plush adorable creatures? Won’t someone take us home…please? What do you collect? How have your collectible interests changed or evolved? 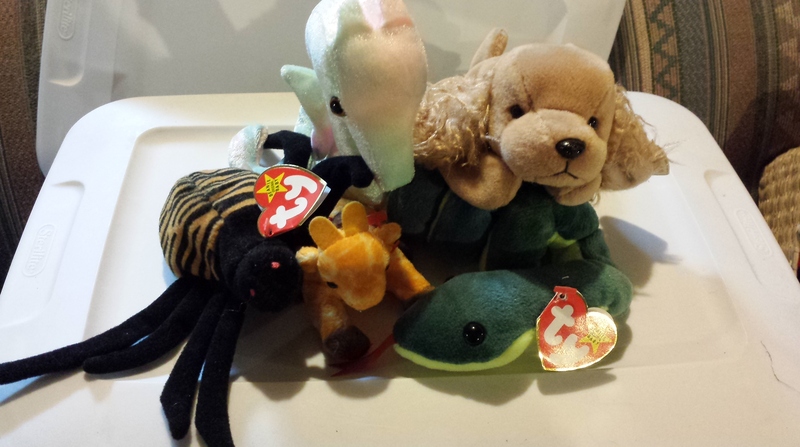 Do you want any Beanie Babies? *And if you are serious, email me and I can go through and catalogue what we have. This entry was posted in Blogroll, knowledge, nostalgia, prose, writing and tagged Beanie Babies, Coasters, Collectibles, Collections, Nostalgia, Not Poetry, writing on February 4, 2015 by John S.